This is gorgeous! Love the bright background and the fabulous bird. Beautiful embossed vellum. Great card. Love the 3D texture from your EB folder, Shirley. Beautifully stamped and colored bird and fun little tag. TFS my friend. Hugs.. 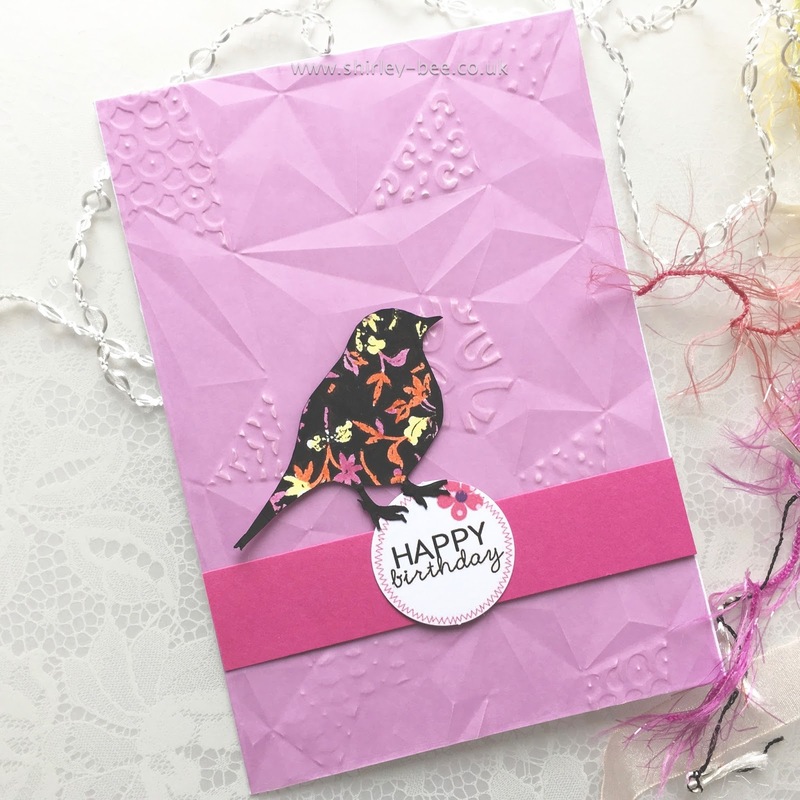 I love the patterned bird and I love the pretty pink embossed velum! GREAT tip on attaching vellum...will definitely give this a try! Wow! Loving that 3D texture. Really makes for a fab card. Thanks for the tid-bit about the glue! Love your pink vellum too! Great card with so much depth! I have never seen pink vellum like this, and the way you embossed it... wow! Striking card, Shirley. Dry embossed pink vellum background looks fabulous with the bold color of the bird! Mega cool background. Love that blossomy bird.